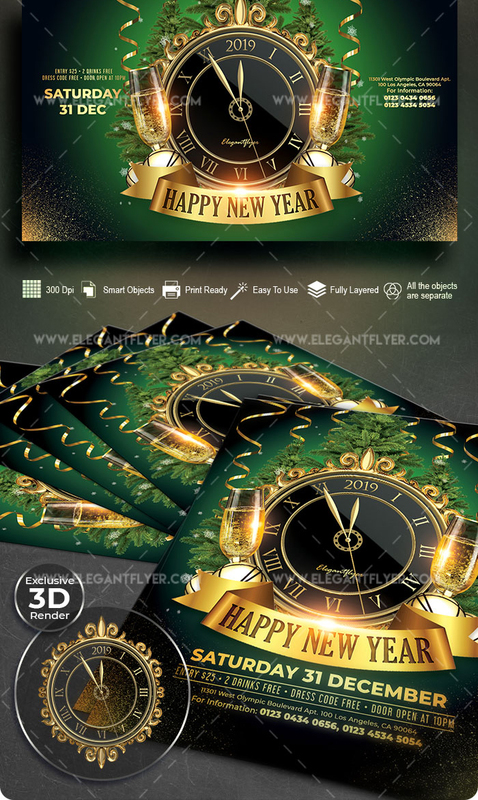 Happy New Year Flyer PSD Template With Facebook Cover Free Download. 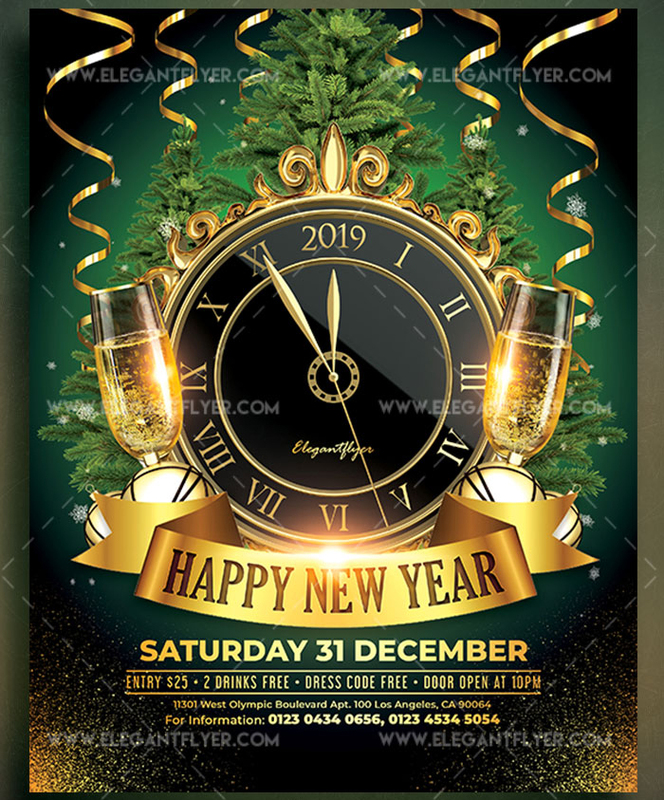 PSD is set up in 2625×3375 dimension (8,5″ х 11″ with 0,25″ bleed). You Will get Editable Photoshop File and you can easily edit the text content and place logo or any image you want.